We notice that sometimes the parashot in the Torah seemingly do not synchronize with the calendar. For example, the story of the exodus from Egypt, which is connected to the month of Nissan and Passover, is read after Hanukah. So too, Parashat Ha’azinu, recited during the Holidays of the month of Tishrei, tells the story of the passing of Moses which took place on the 7th of the month of Adar, a week before Purim. The Zohar explains that Parashat Ha’azinu is read in the month of Tishrei, whose astrological sign is “Moznaim” (Libra), and both contain the root letters A.Z.N (א.ז.ן). These letters also spell out the Hebrew word for ear, the organ that maintains our balance and which we use to hear, also symbolizing the Sephira of Bina. Actually, the entire time period towards the end of the year prepares us for the holidays of Tishrei and the connection to the Sephira of Bina. 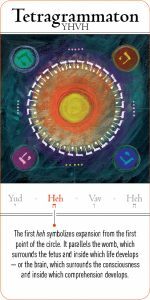 The large letter “Lamed” in Parashat Nitsavim, the 30 verses in Parashat Va’Yelekh (Lamed has the numeric value of 30), and the structure of the Lamed reaching up over the top line, exemplify our ability to connect to the upper worlds. Moreover, it is the “Lamed” that created the astrological sign of Libra. We recall that on Rosh Hashana, the New Year, we are recreated, and for this purpose we connect to the Sephira of Bina, the cosmic repository of the universe, in order to draw from it the abundance and blessings we need for the coming year. The parasha opens with the words “Listen O heavens and I will speak, and let the earth hear the words of my mouth”, in contrast to the scripture in Isaiah: “Hear O heavens and listen O earth, for the Lord has spoken”. Listen is stronger verbiage than hear. According to the Midrash, at the moment Isaiah said “Hear O heavens and listen O earth”, a voice called out and asked, who dare to speak this way, and therefore Isaiah immediately continued and said “for the Lord has spoken”. This differentiates from Moses who said “Listen O heavens, and I will speak”. He and none other. As it was Moses and not the Creator who, forty years previously, had split the sea, it is now Moses who is taking charge by saying, “Listen O heavens, and I will speak”. He is taking initiative, actualizing creation, creating the reality that he wants. This is what happens on Rosh Hashana, when the world returns to Beresheet, the beginning. We can receive the very Light of Beresheet when we accept that we are here to be creators, when we let go of the anger, resentment, and feelings of victimization, and make space for joy, optimism, and love, when we see in all things an opportunity for growth, creation, and when we understand that everything is for the good. In this way, we draw in the Endless Light, the endless abundance and blessings for the coming year. The Kabbalists explain that there is nothing greater than commanding joyfulness, for in doing so we validate our deserving joy. This transpires through understanding and connecting with the essence of Creation, which is to benefit the created beings, and it is the power given to us in Parashat Ha’azinu, the boundless power upheld by Moses our teacher.